Packing is a big deal. 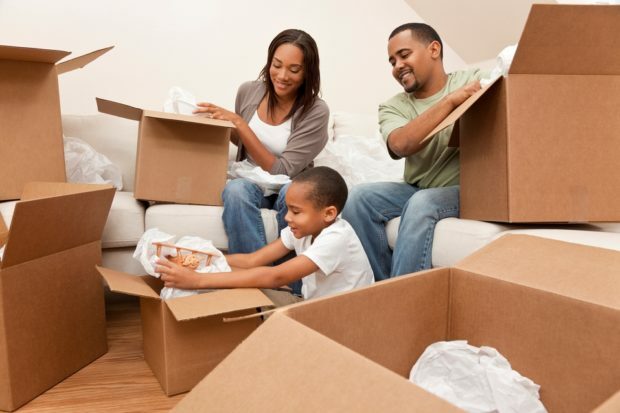 From deciding the order in which you need to pack each room in your home or apartment to labeling your boxes in an easy-to-read manner, there are a lot of variables to keep in order when packing. That is why in addition to our specialized articles on such topics as how to pack electronics or deciding when a storage solution is the right choice for you, we’ve been assembling this multi-part guide looking at the different stages of the moving process. If you’d like to start by taking a look a the big picture when it comes to packing first, that’s no problem. But when you’re ready, we’ll get into the thick of it by helping you to prioritize the packing process. The first step is, for many, the easiest and most fun as it involves going through all of your items and identifying those that you just simply no longer need. If you’re the type who likes to hold onto keepsakes and have a hard time cutting down on clutter, keep these criteria in mind. First, is this an item you’ve used at all in the past three to five years? Secondly, is this an item that you can see yourself using in the next few years? And lastly, is this an item that is not decorative or will your home function just fine without it being there? If you answered “no” to the first two question and “yes” to last one, then you have your answer: either throw it away, recycle it, or give it to Goodwill or another charitable secondhand store. One of the big picture steps that every move will entail is taking an inventory of your items. Now, whether your inventory has absolutely everything listed or just the major items, you should be able to look at it and identify those items that can be packed early on without disrupting your daily routine alongside those that will need to packed last. Just by having a general list of all of your items makes it much easier to figure out the best order in which to pack, both in terms of your objects and the rooms associated with them. Now that you’ve cut out the clutter and figured out the general order in which your packing should proceed, create an agenda for your move in order of what needs to be packed first, what items will need special attention or help, and what items will be moved into a professional storage solution. If you’re handy with Microsoft Office or even Google Sheets, then you can create a color coded inventory that doubles as your priority packing list, assigning a color to each level that you’ve created. Now that you’ve established your priorities, next week we’ll cover the packing essentials!